At Mission Health, we believe in harnessing the power of social media to empower, educate and engage our community to Be Well, Get Well and Stay Well. You deserve the ease of award-winning health and wellness content right at your fingertips. 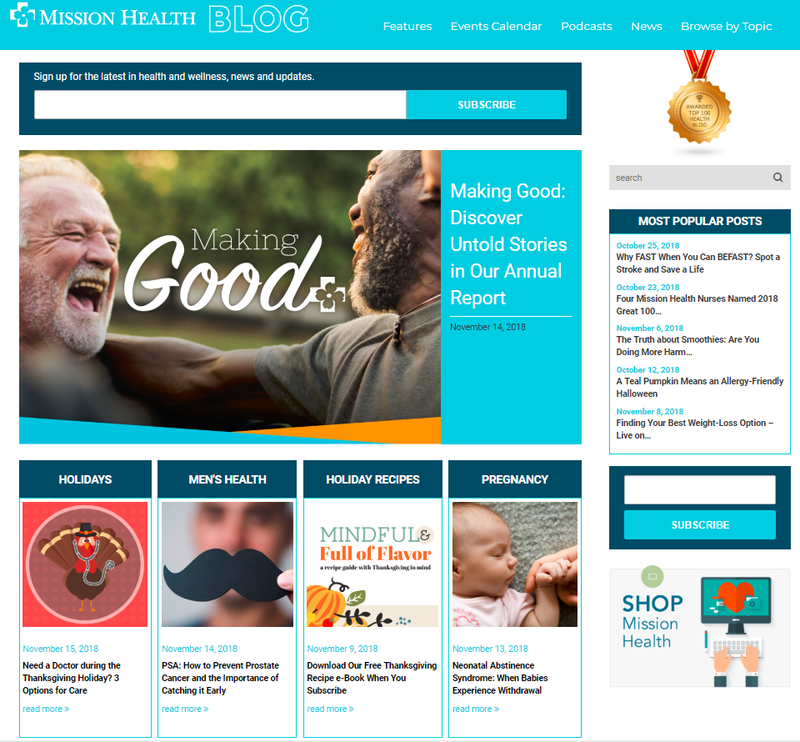 And, thanks to our readers who requested health and wellness articles in their inbox, we’re pleased to offer Mission Health Blog readers the opportunity to subscribe to our content. Don't miss our updates - ensure you are following Mission Health on Facebook, select "get notifications" and "see first." Whether you’re a team member, job seeker or a friend of Mission Health, engage with us on LinkedIn. See our stories and don't miss happenings on Instagram at Mission Health. Don’t miss an opportunity to share your favorite recipes and wellness tips with your friends on our Pinterest boards. Open discussion through Mission Health's social media sites is always encouraged. We look forward to hearing your stories and experiences at Mission Health through any of our online outlets. 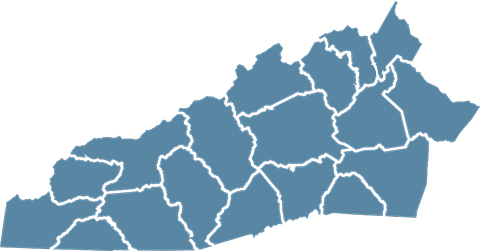 However, to make sure posts stay on topic, and are considerate of others, Mission Health will practice a prudent amount of monitoring. Information regarding medical issues or advice posted on our pages should not replace a consultation with a health care professional. Please be aware that Mission Health's social sites are completely public. We strongly warn against disclosing any personal information and we suggest you exercise complete caution when posting. Please be advised that posting information regarding your personal information, location, medical record or financial information is strongly discouraged. By posting any comments, posts or other material on Mission Health-sponsored social media networks, you give Mission Health the irrevocable right to reproduce, distribute, publish, display, edit, modify, create derivative works from, and otherwise use your submission for any purpose in any form and on any media. Post material that is unlawful, obscene, defamatory, threatening, harassing, abusive, slanderous, hateful, or embarrassing to any other person or entity as determined by Mission Health in its sole discretion. Terminate a user's access to the social network upon any breach of these Terms and Conditions. Edit or delete any communications posted on the social network, regardless of whether such communications violate these standards.